Wife's x5 done this morning. Excellent service by the team. They explained everything and answered all my questions, regardless of how many times i asked the same question over and over again. Professional service and I will use their services again in future. Has anyone in Cape Town done the service? My 335i was done this morning. Really appreciate the service from ZF Services JHB. (11-01-2019 09:57 PM)RonCT Wrote: Has anyone in Cape Town done the service? I'd also like to here about some service experiences here in Cape Town. I'd like to take my car for a gearbox service before this special expires. pity i only saw this now. aaaarg. whats the price for the service? i have a 2010 bmw e82 125i. auto. This was a crazy good deal considering the parts I bought to do this service were close to R3k. (08-03-2019 02:17 PM)golfer23 Wrote: pity i only saw this now. aaaarg. Hi golfer23, current price is R3800 incl VAT for both 6HP and 8HP transmissions. Hi Nico, surely this price above may be incorrect, as I requested a quote on email from you on the 1 March 2019 and you stated that the special had finished and that it was back to the standard service at R5980 VAT incl for 8HP transmission change? Please note I stand to be correct and apologize if i am wrong, as perhaps this may only be a special those on BMWfanatics and not on email direct. Only ever heard great things about Nico and his team at ZF. (08-01-2019 03:07 PM)ZF Services South Africa Wrote: Hi all! Hi, I'm only seeing this now. Is this still valid and in Cape Town? I got a 2012 F30 320d with 210000km. The gearbox is 100% fine but this lifetime fluid thing of BMW sounds a bit nonsense to me when I asked them at the previous oil change if they do gearbox and coolant changes. I only go into sport mode with paddle-shift when I need to overtake trucks otherwise I'm normally in comfort mode. Should this still be available for CPT, I will make a booking asap. 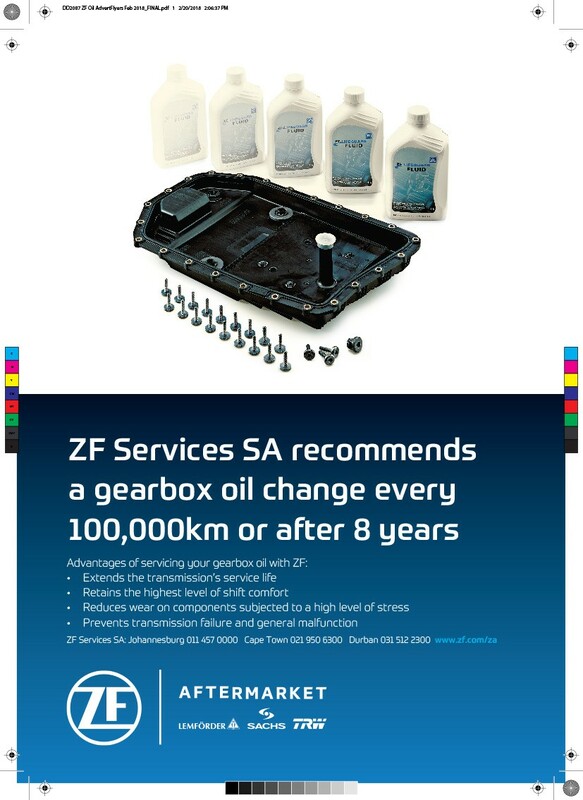 ZF manufactures a gearbox and recommends 100k KMS or 8 yrs oil changes. I've never understood their logic, but seems to me BMW want the gearbox to fail so they can make money. I've always wondered if one could sue them for giving customers wrong advice, when the gearbox fails and they refuse to fix or replace it. (13-03-2019 11:43 PM)Beemerbro Wrote: ZF manufactures a gearbox and recommends 100k KMS or 8 yrs oil changes. The lifetime of the vehicle is only while under motorplan. They say the same thing on diff oil. I changed mine just last week. Stuff was nasty. After the new one, slipping was a far less. P.S. Diff oil is some nasty stuff. Use gloves. (14-03-2019 09:11 AM)Holiman Wrote: They say the same thing on diff oil. I changed mine just last week. Stuff was nasty. After the new one, slipping was a far less. You should have a case against BMW and ZF, have you tried speaking to BMW? No, I've never approached BMW about this because both the cars I had where autoboxes failed, I'd bought them as used cars, so they could argue all sort of things about how the car was cared for, how it was driven and so on by former owners so it could get complicated. But someone who bought a new automatic from them could have a winnable case I'm sure because there's enough data around the world to show that their advice on "lifetime oils" is wrong and unscientific. The manufacturers of the gearbox ZF themselves are contradicting BMW- that's evidence enough. I would have loved to take them to court if my circumstances placed me in that position but the people who could, just haven't bothered. I know some of their gearboxes are made by GM but the failures are same as ZF ones. Degradation of ATF is largely blamed for these failures in the majority of cases. I don't know what GM advises on their BMW autoboxes, but I've had several Vauxhall Astras using GM autoboxes and the manual recommends 40 000 mile ATF changes. I've never had failures on astra gearboxes and have had failures on 2 BMW autos. The 330ci E46 I have had its transmission fail at 74k miles in the UK in 2010 and here they fail around that mileage(75-100k miles). It's now in SA now tho. I fitted a reconditioned one and its run perfectly since then and I changed its oil and filter this January and it was black but no metal fragments or sludge, and this car's in such a great state mechanically and aesthetically i want to see how long it will last as it's now 19 years old. Despite their bad oil advice, BMW have made a bullet proof car in the E46. For that I admire them deeply.